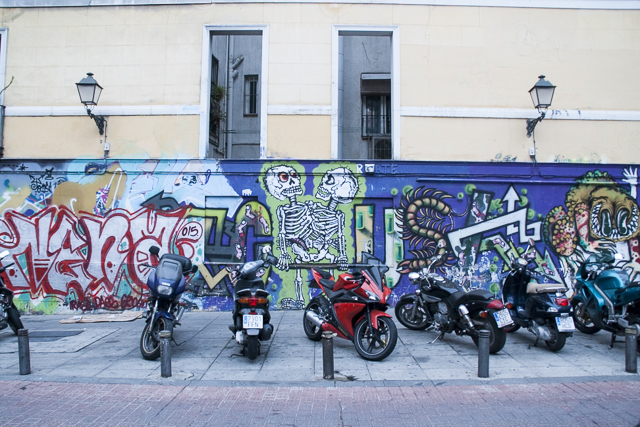 My three favorite things to take pictures of are street art/graffiti, buildings, and abandoned places. 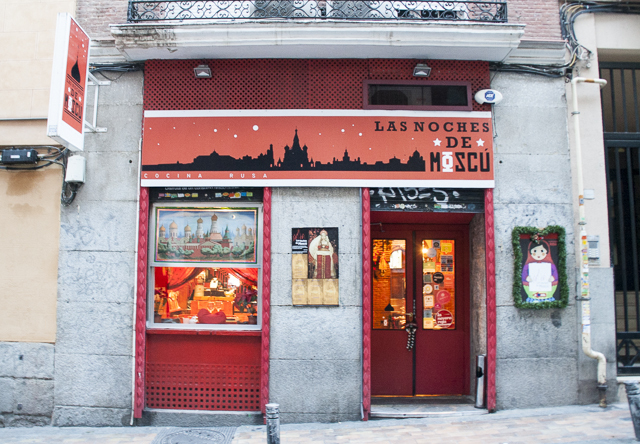 While in Madrid we didn't realize every thing was going to be closed for New Years Eve and New Years Day. 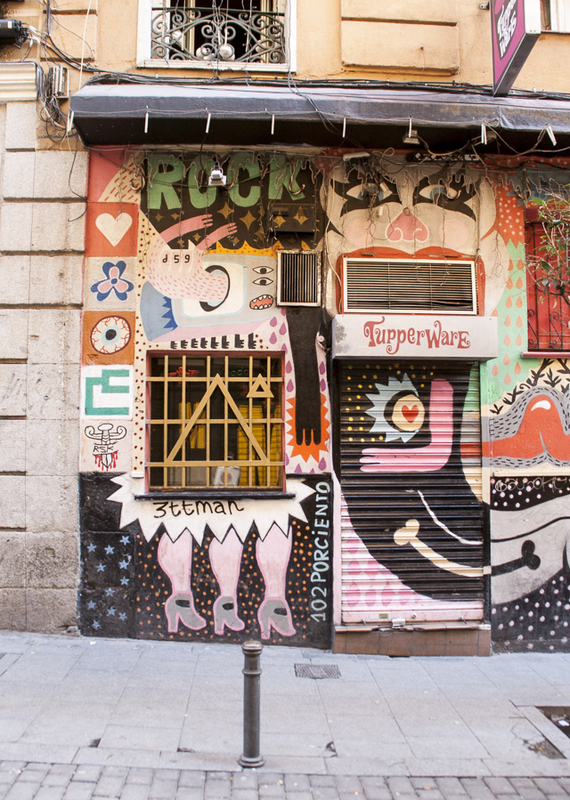 While we were sitting around on New Years Eve I looked up places for street art in Madrid and it happened to be right near where my cousin, Catherine, and her husband, Ben, live. 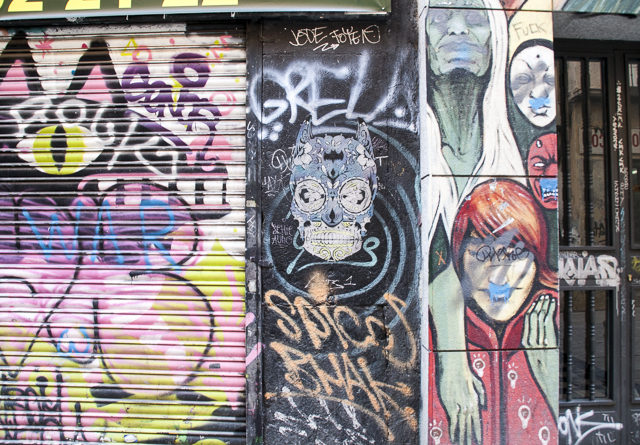 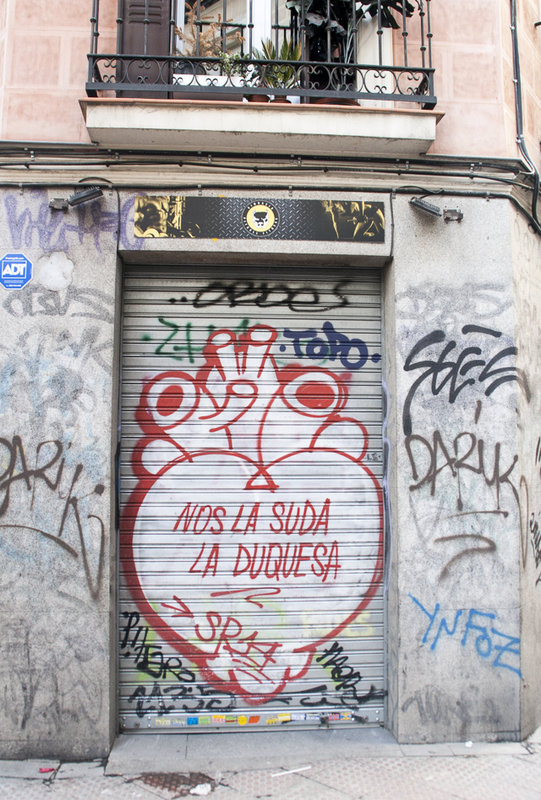 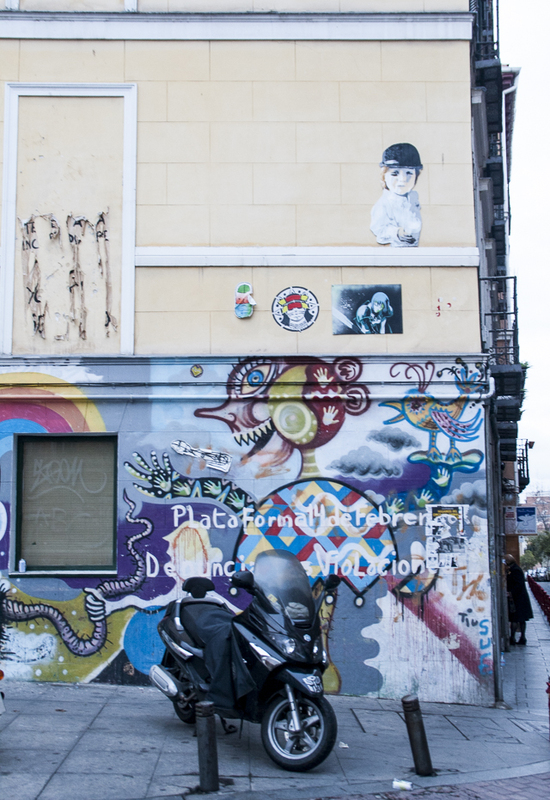 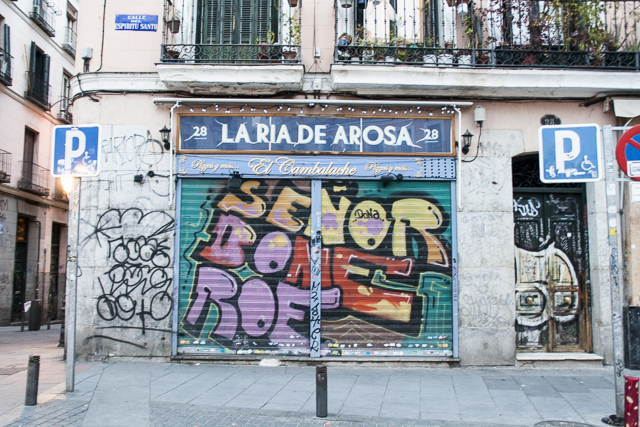 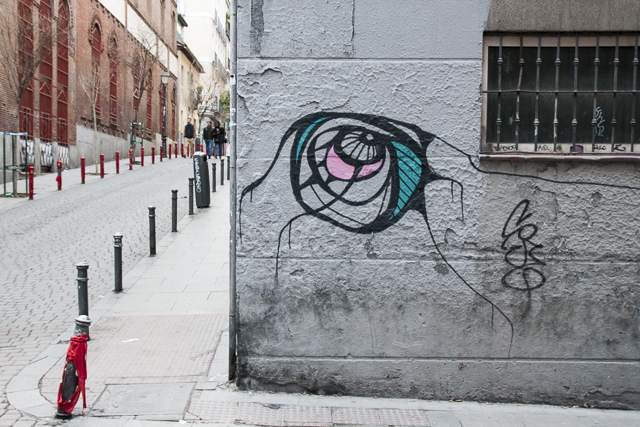 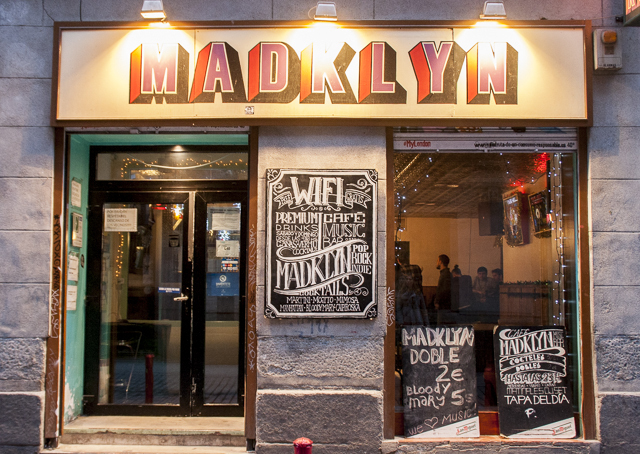 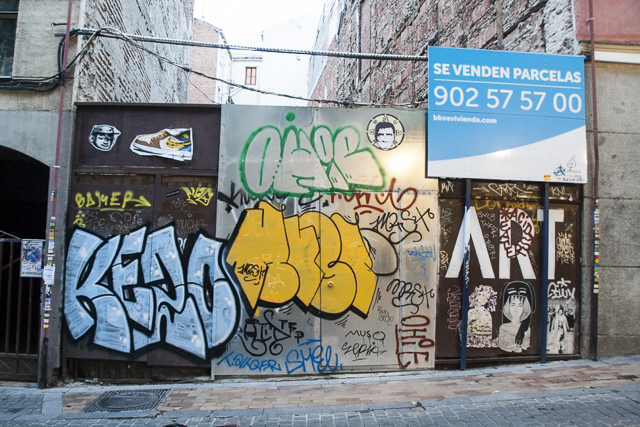 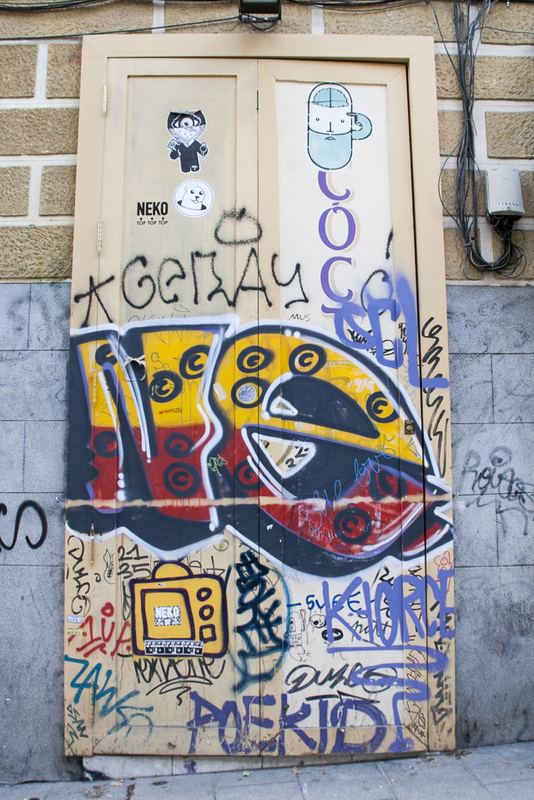 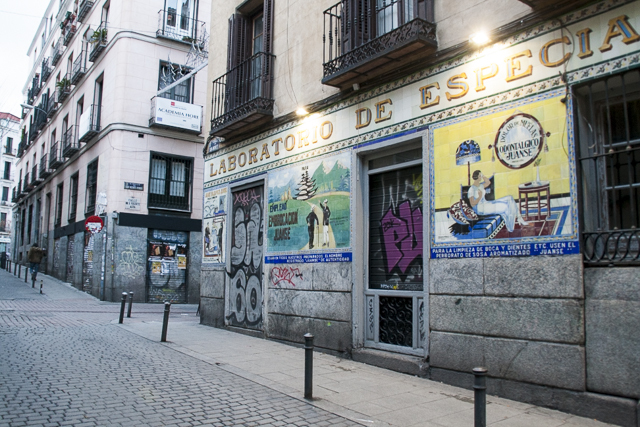 So, we took the dog, Andazi, and went for a walk through the Malasaña neighborhood. 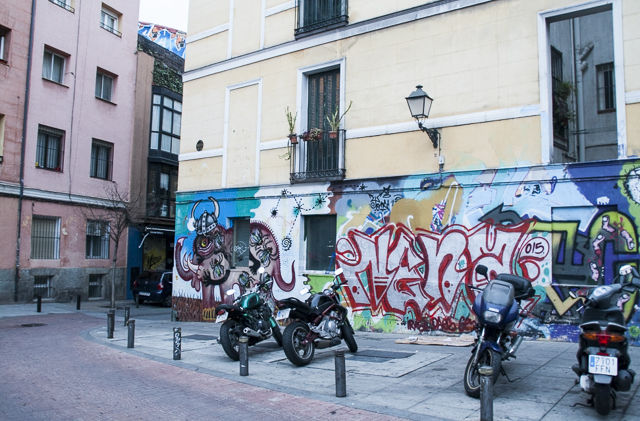 These pictures were taken on two different days because it started to get dark, so I wanted to walk through again to retake some pictures with better lighting. 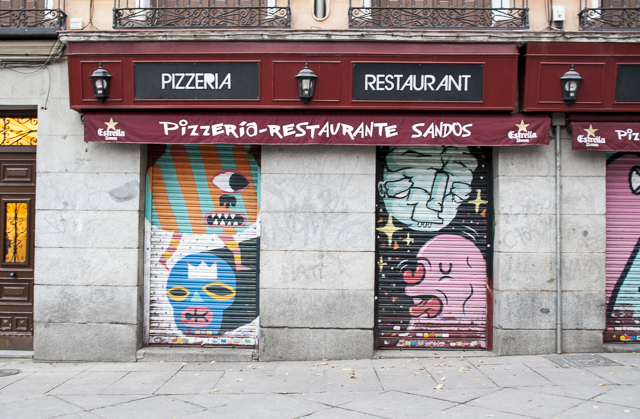 I also really like some of the store fronts in the area so I took pictures of some of my favorites. 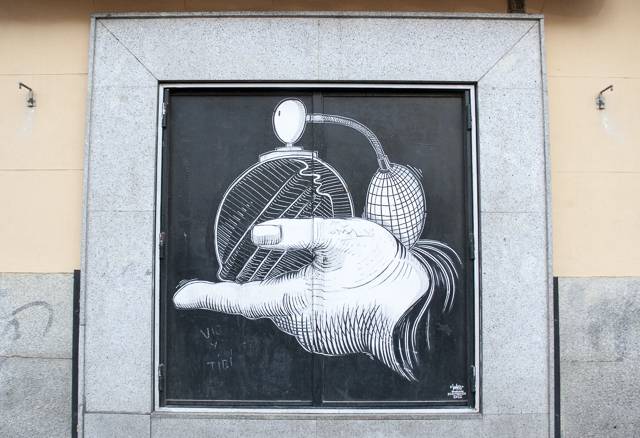 The one good thing about everything being closed was that you could see a lot of the art on the window coverings that you would not have seen if it was open.